I've been at Lite 98.7 for 15 years. Way back in 1993 is when I began, doing overnights before moving to Nite Lite and then mid-days. My favorite part of my show is the Lite Cafe, when I play lunchtime requests and get to talk to our listeners. Read any of my blogs and you'll quickly discover my fondness for cupcakes, gourmet popcorn, pizza and key lime pie. I left the Mohawk Valley for 5 years to work at our stations in Albany, which was great, but like Dorothy said in "The Wizard of Oz, " there's no place like home. "Hell's Kitchen" and "The Most Dangerous Catch" are two of my favorite TV shows but nothing beats a good book. Thanks for leaving on the Lite! 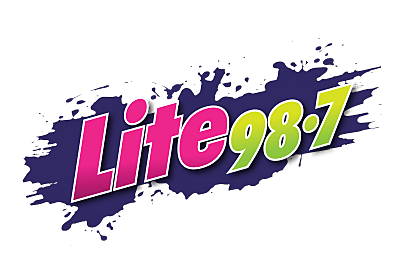 Has it really been 16 years that I've been here at Lite 98.7? Seems like yesterday I was starting here working the overnight shift before moving to Nite Lite and then my current mid-day show. So many memories. What do you pay for a babysitter? Ten bucks an hour is the going rate among the other parents I know but that's a far cry from NYC babysitting rates. You won't believe what they pay in the Big Apple for a babysitter. How do you define success? A nice car? Fancy house? Or is being truly successful far less tangible? This quote is one of my favorites and I look at it every single day on my fridge. Kids can be mean. Really mean. But a Texas teen got the last laugh when she gave her homecoming queen crown to a classmate who'd been bullied. Talking for hours on end can be quite a strain on your voice. How about talking for 33 hours straight while giving the weather forecast? The world record for longest weather report has been broken by a woman in Norway. The Utica area has such great restaurants but there's one restaurant that's been gone now for almost four years that I miss a lot. The Hook, Line and Sinker that was on Seneca Turnpike in New Hartford. Little ghosts, goblins and witches can have some fun with fitness during the second annual Boolermaker Kid's Run on Saturday October 25th at the Masonic Care Community in Utica. Most senior yearbook portraits tend to be pretty typical. Not so though for one Schenectady High School student whose senior picture has social media buzzing.